As many of you know I attended Cosmprof North America last week in Las Vegas. I'm going to cover the practical side of my experience as well as the personal. I like to keep it real with you guys, and sharing my personal experiences and emotions is equally important to me than just telling you the basics! I went into this experience with a bit of hesitation. I'm a hobby blogger. Painting my nails and my blog is something I do solely as something for fun. This whole event seemed intimidating for me because I'd knew I'd be interacting with people who are in this industry as a professional and it's their career. It's very hard for self doubt not to make me feel inadequate in comparison to the people I'd thought I'd encounter there. Then again, I had to tell myself I've been an active nail blogger for 5.5 years. 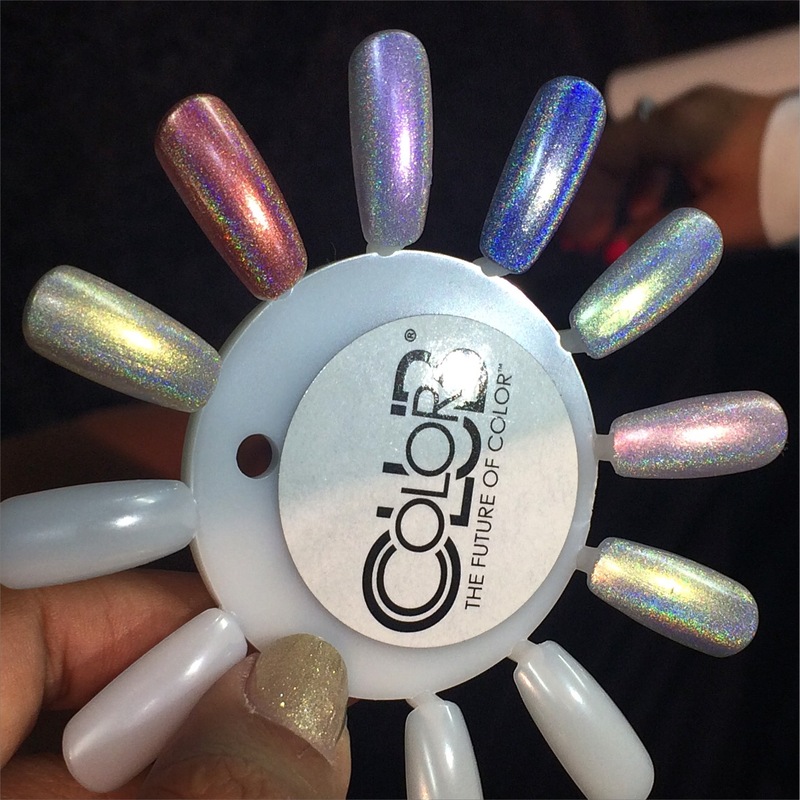 I worked hard on my blog, loved blogging, and of course loved nail polish. I was just as deserving as any other blogger there regardless of what type of blogger I am. I'm forewarning you. I am a horrific multi-tasker. Conversing, note taking, picture taking all at once is a massive fail for me. I wish I could of taken more pictures, but I was so in the moment many times talking to people that it was hard to stop and take photos. Cosmprof for me was spread out through 4 separate events. This show was HUGE. I can't even tell you how huge it was because I could figure out how to walk through the entire thing it was a massive maze. I first hit up the Discover Beauty section which featured a bunch of up and coming brands. This is where I was introduced to Ella + Mila brand. 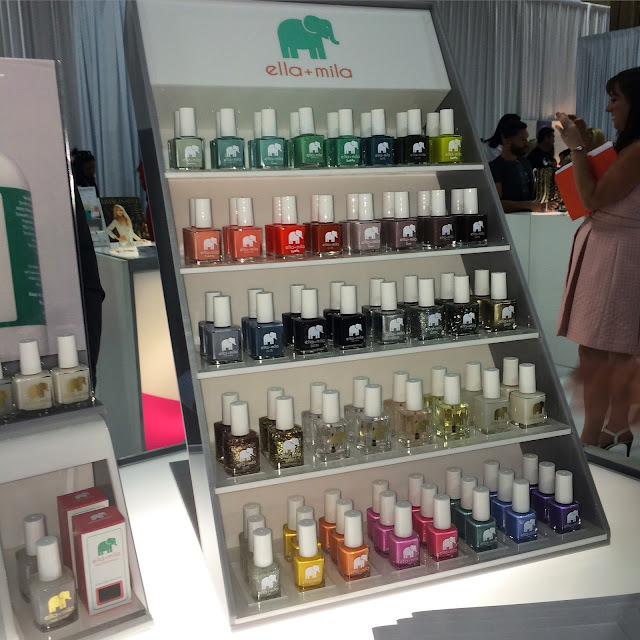 I think I'd consider them a boutique brand who creates 5 free polishes who have excellent branding! I love their logo! Next up was Londontown which is nail care brand who has recently branched out into making Lakur their own nail lacquer line. I forgot what brand this was because I'm a dimwit, but it's glitter. Look at the glitter! My favorite stop of Cosmprof had to be Color Club. They had a massive booth with a lot of friendly and easy to talk to reps. They had displays of all of their upcoming collections for fall and winter. This is an atypical fall collection for sure and that's why I love it. 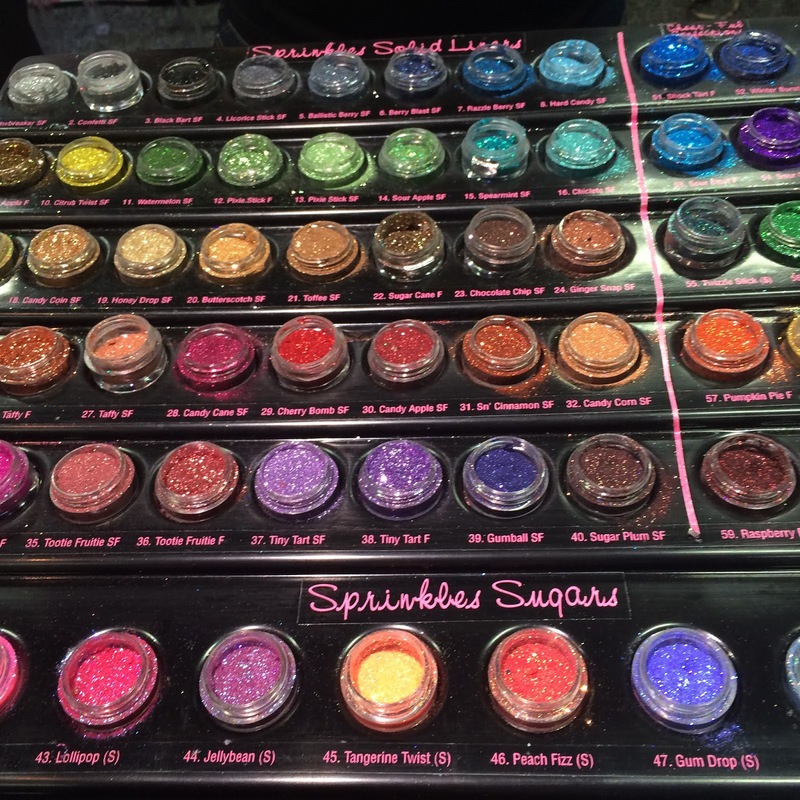 This isn't your standard vamps or shimmers. This a great collection of mid-tone and dusty shades that do have a pop of color. This collection doesn't really do much for me, sadly. There are lot of very metallic frost shades in here that are not really my cup of tea. There is an awesome black, white, and silver glitter though that definitely sparks my interest! This is the collection that really sparked my interest. I'm not really into mattes at all, but these looked amazing. They're not as flat as other mattes. I'm going to try to describe this as best as possible, but they look like frosted glass. Some of these colors have a jelly-like quality that looks like it's been frozen? Yeah, that doesn't make sense. They're awesome, and I will be purchasing this entire collection. It's supposed to ship out 8/1, so it should be available soon! 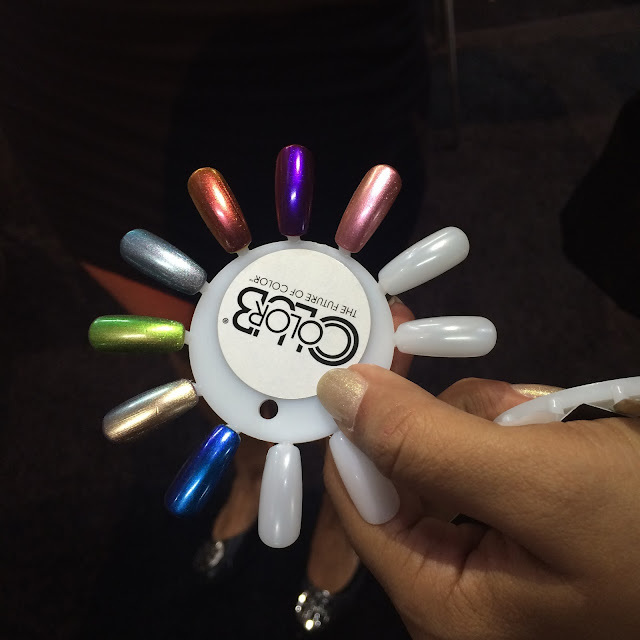 They also had this cool Oil Slick collection duochrome/multichrome collection. The display of it was really high up and at 5'1" I was unable to get a photo of it. I did snag a pic of the swatch wheel though! 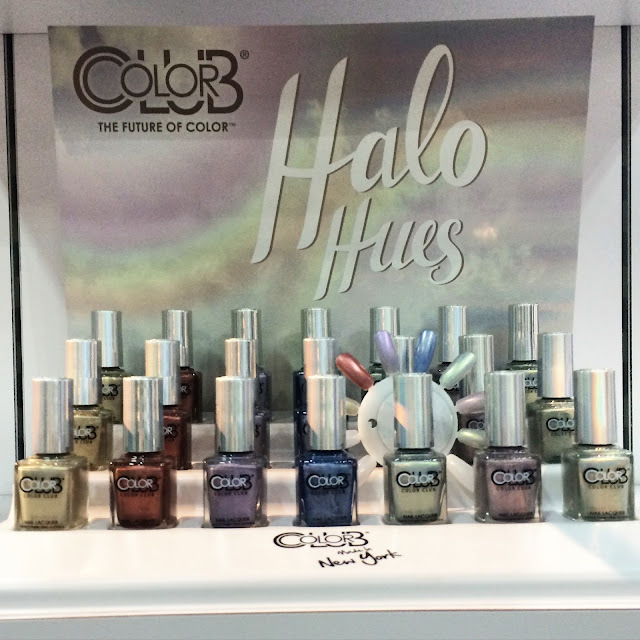 Now for the most oogled over collection the release of 7 new Halo Hues shades. I don't know the exact release date, but I'm assuming sometime in the next few months before the new year. 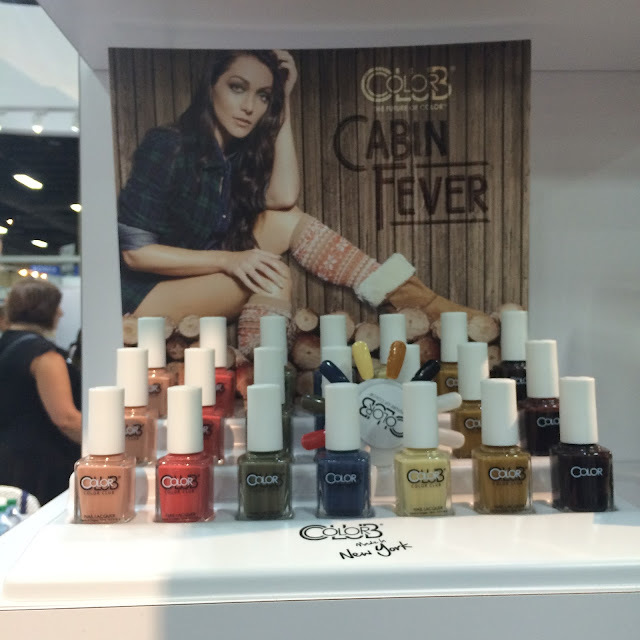 After this I stopped by the Zoya booth. 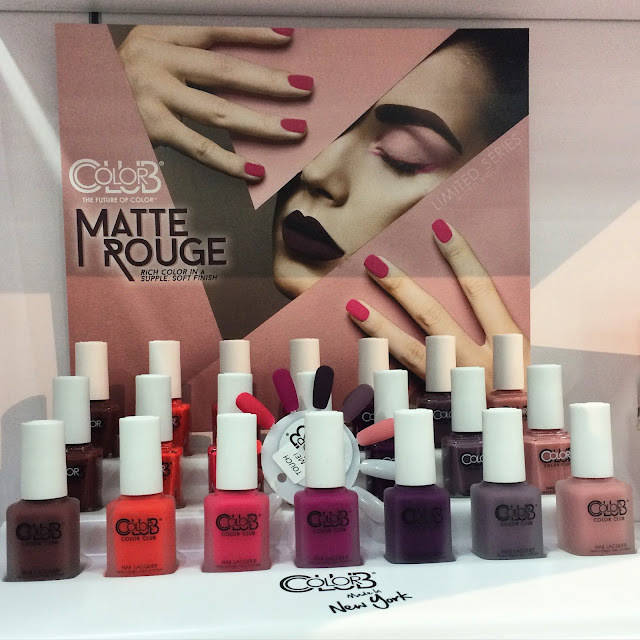 Zoya had their upcoming fall collection displayed. I could take pictures of it, but I can't share them until August 1st. Ho-hum. I will say that it seems like fall collections mainstream this year are not focusing so much on vamps this year. Bold cremes and jewel toned shimmers seem to the focus with some muted, metallic, and vampy colors mixed in. That's all I will say. That is it for my pictures from the actual show floor. I'm sorry! The issue I came across is I started to venture on my own were some of the booths were not really open to people to just go in a look around. Orly had a booth with a sign on their displays saying "No Photography". Booths from OPI and China Glaze were completely blocked off and you had to have an appointment to go in. Plus, the whole self-doubt inadequacy combination kicked in and I felt a little over my head. I feel really intimidated approaching what seem like fancy important brand reps on my own. I did another walk through and headed out for In-n-Out burger. Yum! Check my post out tomorrow where I share one of my favorite parts of the show. The Cocktails & Colors event where I had an AMAZING time meeting and interacting with other bloggers and indies. I felt like I was with my kind there! This was a wonderful read! I always enjoy hearing about other people's experiences and it's nice to get another person's take on the same events that I went to. And it was so nice meeting you! 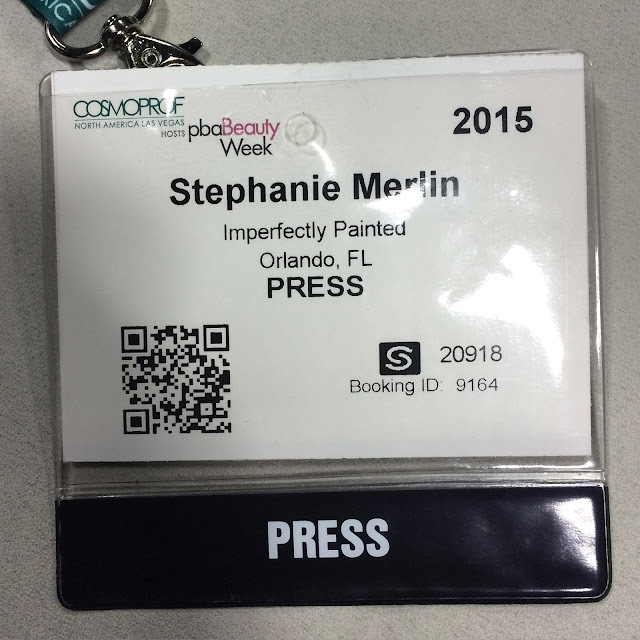 I am enjoying reading about your Cosmoprof experiences and I can relate to finding small talk difficult. Looking forward to the next blog posts! Thank you, Ida! It was so nice meeting you! I hope you come again next year. I plan on being there again! I can so relate to the difficulty in small talk etc. I'm a painfully shy person, and small talk, meeting new people, etc is quite difficult for me. So jealous! I'm like you though, small talk makes me so uncomfy. I'd be that awkward girl in the corner by myself lol. Sounds like you had a great time though! Steph, this is a fabulous review of your experience! I think you're very engaging after breaking the ice! I bet if you go next year, you'll feel incredibly comfortable and you'll kill some of those brands with your awesomeness! It was an honor to meet you! I've been looking forward to this post! I'm the same as you about initiating conversations and that kind of thing so when I went to Cosmoprof a few years ago that was a hurdle for me to overcome also. I was lucky to have a buddy (KellieGonzo) to walk around with and that helped a lot, like Claudia did for you. Shame that some of the brands are intimidating to go into, it wasn't like that when I went...except for OPI but we managed to talk our way in there lol! Can't wait for the next post! It's good to know someone else understands what that is like! Lol, that's how I feel about polish! Yes! "Extra-thinky" is a perfect way to describe me. The gears in my brain are always going. I really did have a good time. I think the beginning of all situations are always a little bit challenging, but I really found my way through them eventually and enjoyed them. Thank you so much! It was so great to meet you and I appreciate your kind words about me :) <3. I hope you both will come back next year! I'd love to be able to meet you guys! I'd love that so much! It was great to meet you! This is great that you are sharing your experience. I would be too timid to even attend. I am terrible at small talk too. I guess its an introvert thing. I love your blog because you keep it real and are so honest like when you share your insecurities. We all have them but people don't talk about it. I am glad i am not alone in feeling out of place or insecure about events like this one. You are right though as a nail polish enthusiast you belonged there as much as the nail pros. I am excited to read part two. It sounds like scary fun going to Cosmoprof.